SKI FACTS: There are beginner, intermediate and expert runs from every chair lift, meaning that all levels can explore the mountain. In 1882 the mountain guide and outfitter Thomas Edmonds Wilson was the first non-native to discovered Lake Louise, or Emerald Lake as he first called it situated in the heart of what is now Banff National Park. Back then Mr. Wilson said ‘As God is my judge, I never in all my exploration have seen such a matchless scene.‘ and he was not wrong, the area is absolutely stunning. 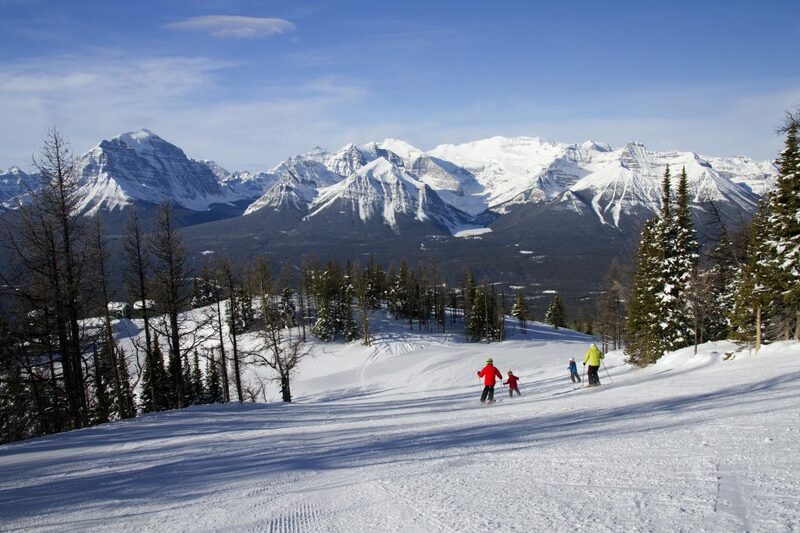 The best views are from Lake Louise or from the top of the skiing area. Because of being situated in a National Park, I presume the area has been protected from excess building so there really is not a village as such, but rather just a collection of shops around a parking lot. However, if looking for some old world charm, then it is definitely worth paying a visit to The Station Restaurant for lunch or dinner. Stepping through the front door one is transported back in time; from the building itself to the paraphernalia dotted around the place one can almost taste the atmosphere from the early days of the first Canadian pioneers. The food is outstanding; give the Alberta Bison Ribs with Yam Fries a go and make sure you try one of the boozy coffees or the delicious strawberry and rhubarb pies. 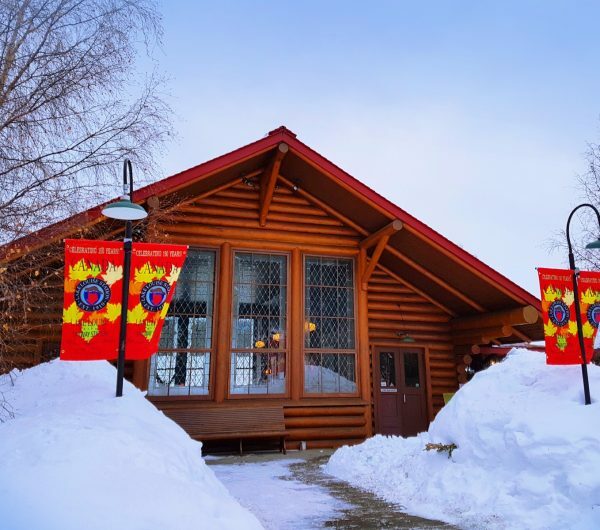 When staying at Lake Louise we can recommend the rustic Deer Lodge, built in 1923 as a tea-house the building still retains some of authentic style, particularly in the bar and Mount Fairview Dining room, the food is wonderful and there are apparently plans to update other parts of the hotel which should improve the place further. The skiing area is 5 minutes by car from most hotels or the free buses that run every 30 minutes. 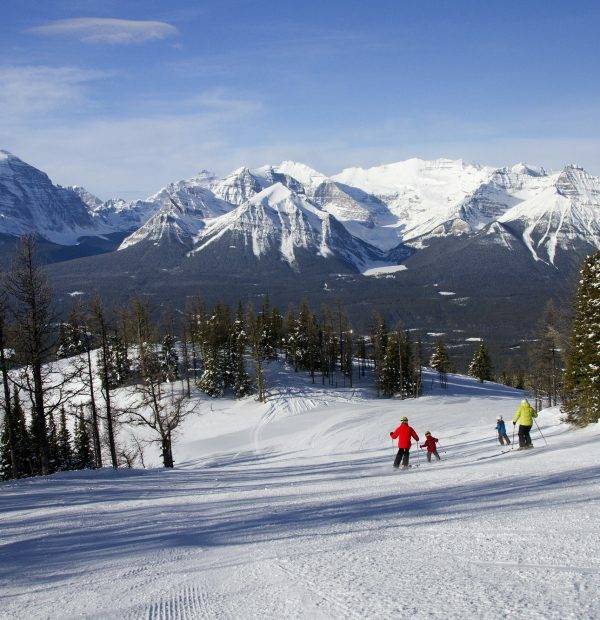 Lake Louise is one of North America’s largest ski resorts and one unique feature to the resort is that there are beginner, intermediate and expert runs from every chair lift, meaning that all levels can explore the mountain or varied groups can ski different pistes and meet up at the lift bases. There are three areas to the resort, with ‘Front Side’, Back Bowl’ and ‘Larch’. 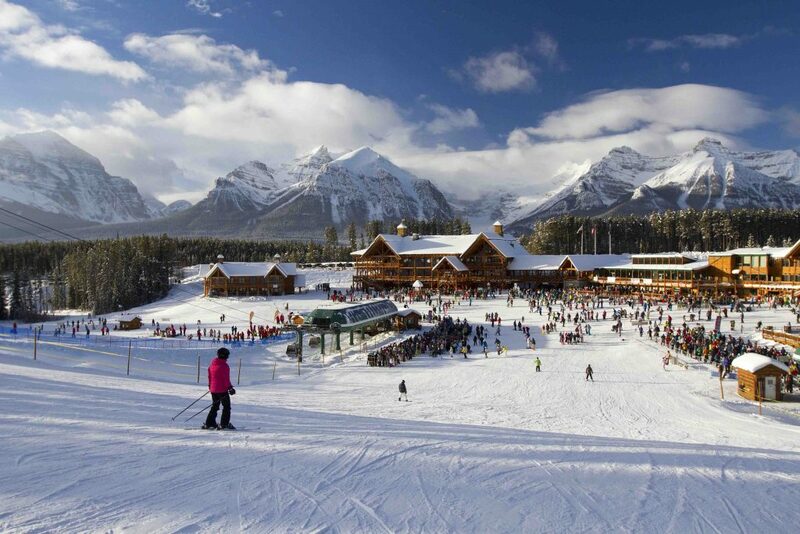 It goes without saying that the views from the ski mountain are some of the best to be found in any ski resort. The views across to Lake Louise and the surrounding mountains and glaciers are breathtaking, this is true Rockies terrain at its best. The variety of chutes, glades, gullies, bowls and wide carving pistes are fantastic, with the longest run at 5 miles long (8km). There are free guided tours that occur daily and I am told that queues are rarely a thing in Lake Louise; when I skied the mountain there was not a queue in site! None of the chair lifts have covers, so make sure that you wrap up super warm when the cold winds blow. 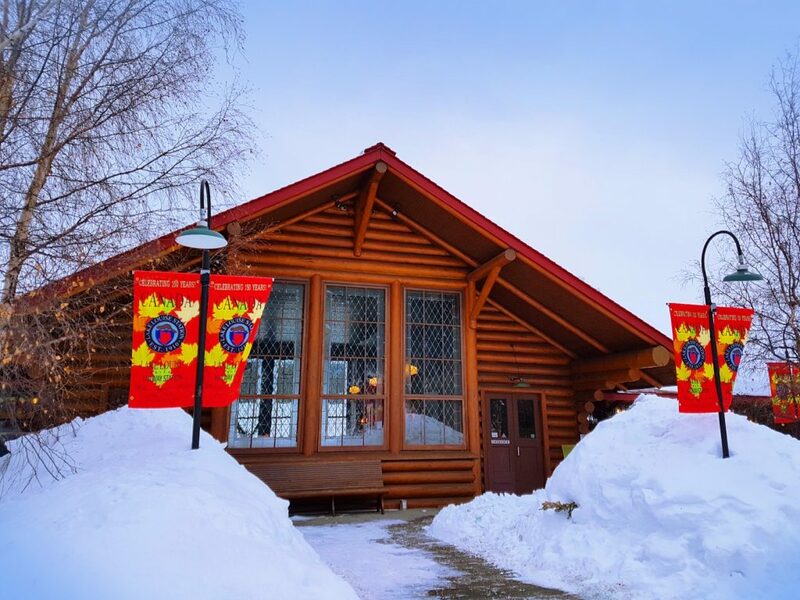 When it comes to dining, how about eating some divine sushi at Kuma Yama Sushi in the The Lodge of Ten Peaks, a giant log cabin situated at the base of the ski area. 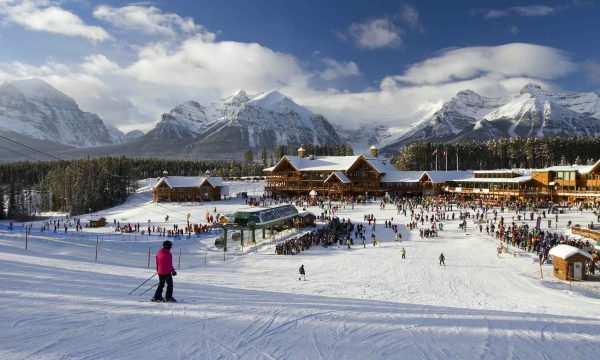 Lake Louise is also not far from Banff and several other ski resorts, so one can visit some other ski areas if one wants to explore the area further. All three areas provide some excellent and very varied skiing. 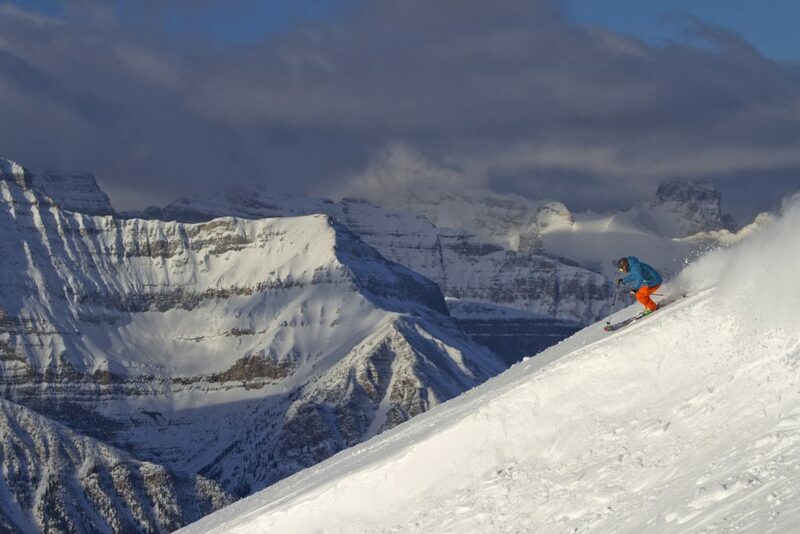 Because of its position, by the time the snow clouds reach Lake Louise from the west, the snow is dry and thus provides some great conditions, this is carving mecca! My only problem was that I did not stay long enough, this is one resort that I will definitely be revisiting again and again for the skiing and for the magnificent views. Piste #14 ‘Sunny Side’ is a great place to start one’s skiing career, with gentle pistes and three magic carpet lifts. Moving on from Sunnyside, there are green runs down from every chairlift, so beginners can start to explore the whole mountain once they find their first ski legs. Go check out #9 ’Wiwaxy’ and #10 ‘Pine Cone Way’. 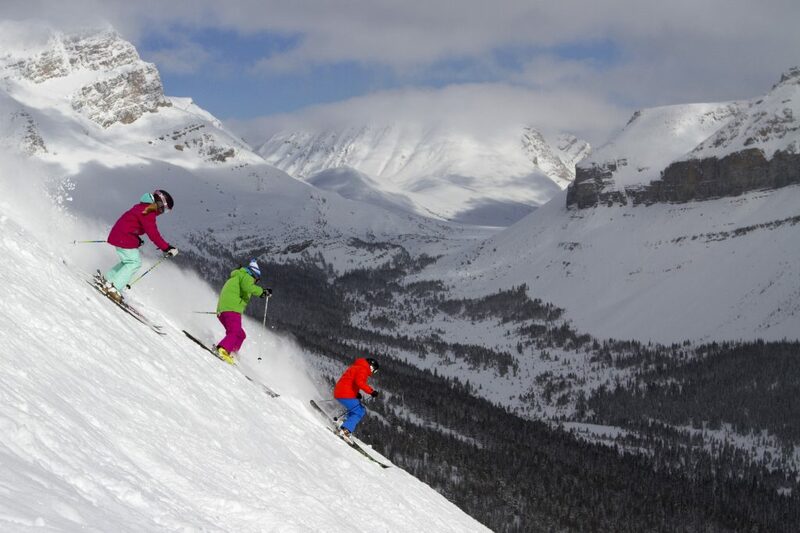 Intermediates can ski about 70% of the mountain. 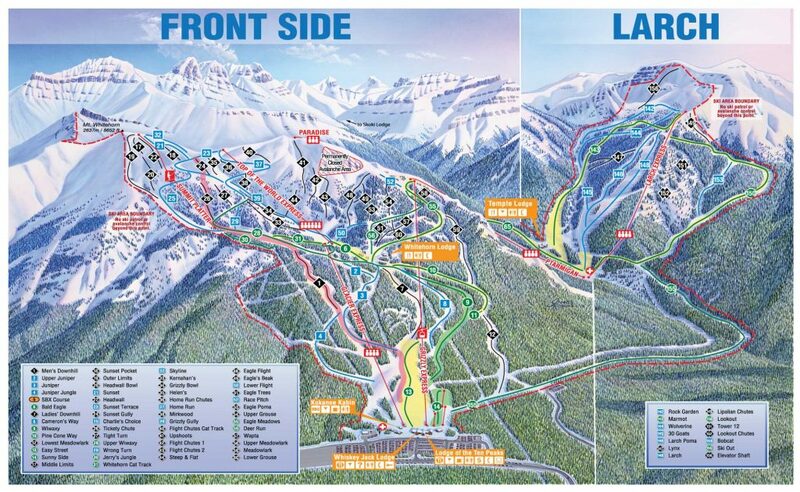 On the front side of the mountain, go check out the combined #39 ’Grizzly Gully’ and #8 ‘Cameron’s Way’. Other notable descents for intermediates ready to explore are on the Larch side with the carve-tastic #148 ‘Larch’ and #133 ‘Boomerang’ on the back bowls of the mountain. 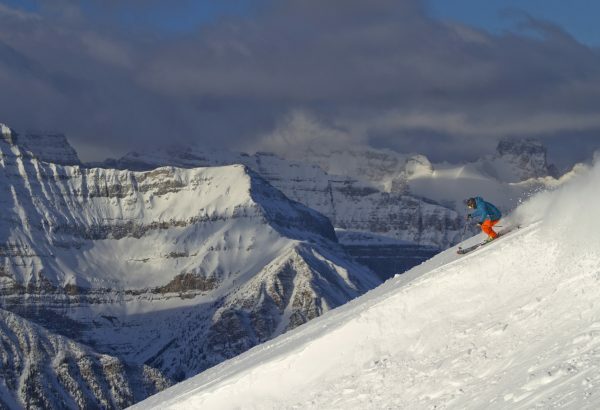 Lake Louise has an impressive collection of super steep runs, and apparently some of the most challenging terrain in the Rockies. The most notable are the steep shoots and faces in the Back Bowl; if it has not snowed for a while, windblown powder is often deposited into the shoots on this face as I discovered in shoot #105 ‘Couloir’. Most of these harder runs can be found at the top of lifts ‘Paradise’, ‘Top of the World Express’ and ‘Summit Platter’. On the Front Side one should go ski #1 ‘Men’s Downhill’ just because it is there. For a steep morning warm up #76 ‘Ptarmigan’ is a good place to start. There are many areas outside the ski resort boundary, with many accessible by lift and more through ski-touring or hiking. 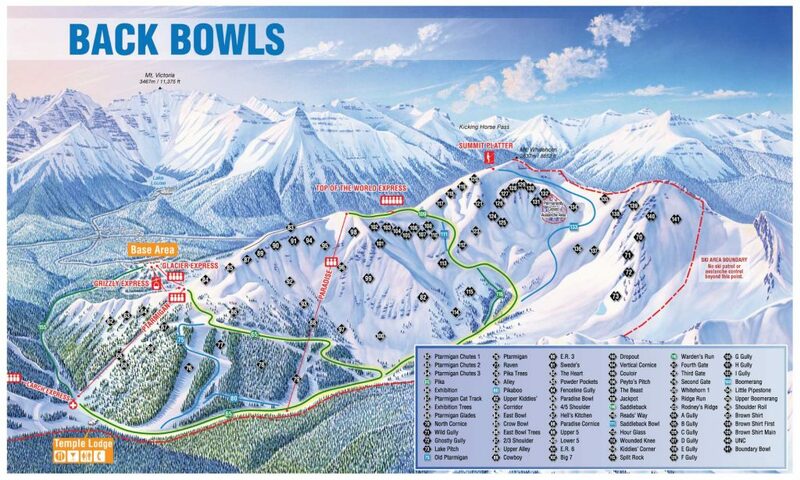 Such areas include ‘West Bowl’, the ‘Speed Run’ area, ‘Hidden Bowl’, ‘Redoubt Bowl’, ‘Purple Bowl’, ‘Wolverine Ridge’ and the ‘Tylenols’. As usual one should take a guide to discover the best snow and to keep safe, Yamnuska Tours can provide a Ski Touring guided service. 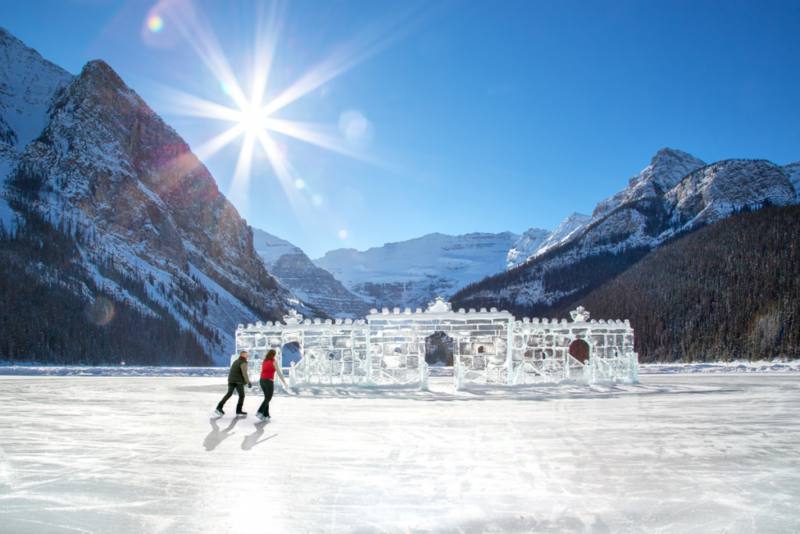 Lake Louise has many other activities other than just skiing. It is worth visiting the actual Lake Louise up by the Fairmont Chateau Lake Louise. The views here are stunning, this is Canada showing off to the extreme. One can take a horse drawn sleigh ride along the pristine lake or skate on the lake amongst the ice features. As well as downhill skiing there is extensive cross country skiing to be found with 80kms of groomed and rather stunning trails through the beautiful parkland. Alternatively, there are plenty of other activities such as snowshoeing, hiking, tubing or the sightseeing gondola for those who do not like planks stuck to their feet.